Home / Football / Does Money Buy You Success? Does Money Buy You Success? Does money buy you success? The eternal question that is asked in footballing circles and thanks to being commissioned to write a piece for the excellent AskFans website, I have gone somewhere to finally giving us an answer on the matter in hand. Ever wanted just how much it has cost Jose Mourinho per trophy at Old Trafford, well this article will tell you the average cost of each of the three trophies that Manchester United won last season, not only that but just how much both Manchester City and Liverpool have spent in the quest for success. Pep Guardiola may not have got on his hands on a trophy while at the Etihad but you get the feeling that success is only around the corner, even the fact that they drew with Crystal Palace at Selhurst Park this afternoon will do little to stop their charge. Ever wanted to know just how much it costs each of three clubs on average to win a game, and what is the price of a goal when this same trio of clubs are involved. These are also two other metrics that I have looked at, does it pay to spend money or does it pay to find value in the market. Quite simply a click of the linked text will tell you all that you need to know. 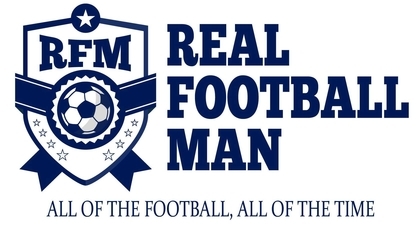 If you would like to commission me for a statistical piece for your website then you can contact me on email at realfootballmanwordpress@gmail.com where I will be happy to discuss what upcoming briefs that you have in mind.